Tasting notes on the following beers accompanied “Blended to Perfection,” which appeared in our September 2015 issue. These beers were tasted by Ken Weaver. 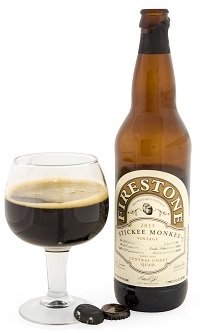 Tasting Notes: A barrel-aged mélange of six beers (lagers and ales). Some funkiness occurred, and the bottled result gushed out once the cap was popped. There’s quite a bit to dig into here: ripe dark fruits, tartness that hints at raspberries and balsamic, and an underlying tannic structure that kept things well aloft on the palate. The full impact hints at chocolate-covered cherries and tart raspberry jam. Tasting Notes: A pretty massive quad, with its core sweetness tempered by a combination of bourbon-barrel influences: Woodford Reserve, Elijah Craig and Four Roses. 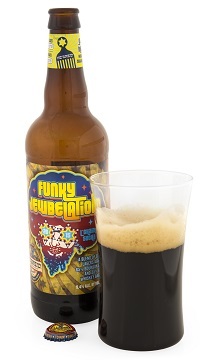 This also serves as a blending beer, specifically built to hit those rich caramel and toffee notes. There’s an exceptional amount to engage with: dense dark malts, yeasty pepper and barrel-ness ranging from coconut to spice. Definitely a sipper, but one that doesn’t fail to deliver in either depth or appeal. 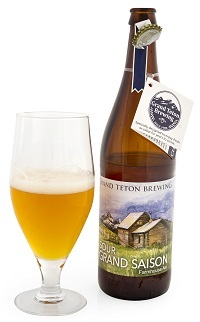 Tasting Notes: This is arguably one of the strongest recent releases in Grand Teton’s Cellar Reserve series. 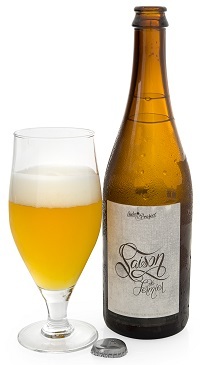 It’s a blend of three distinct beers, starting with a saison base: One “thread” is fermented with a classic Belgian yeast strain, a second with what’s often called Brettanomyces Trois, and the third with souring Lactobacillus. The result’s exceptional, generous and smoothed out, with yeast aromatics ranging from peach to peppery, lemon to clove. A just-enough acidity gives this blend a softly lactic kick, while rounded notes of vanilla and almonds play out as well. Tasting Notes: Fermented from Missouri-native wild yeasts and bacteria, the latest blend is from batches ranging from 3 to 6 months old. These are saisons aged in Chardonnay barrels, and the blend is such a nontrivial execution of combining beers. The aromatics offer hay, toasty crackers, a mélange of citrusy and grape-tinged tart fruits, and a hint of dill. Flavor follows suit, but with a vibrant lift of CO2, undercurrents of soft oak and apricotlike acidity in no short supply.